On the bottom of the notebook, slide the battery release latch into the release position to partially eject the battery. Loosen the captive Phillips head screw that secures the service cover to the base enclosure. Slide the service cover toward the front of the computer. Lift the right side of the service cover and remove the tabs on the left side of the service cover from the cut outs in the base enclosure. Remove the screw that secures the CD/DVD drive to the computer. 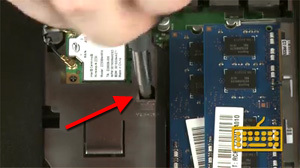 Using a small, non-metallic tool, press on the rear edge of the CD/DVD drive to free the CD/DVD drive from its connector. Pull the CD/DVD drive out of the CD/DVD drive bay. 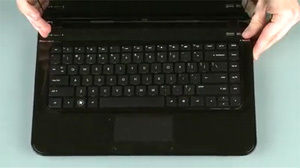 Remove the Phillips head screw (identified with a keyboard icon) that secures the keyboard to the computer. Open the display panel and position the computer on its side for easy access to the CD/DVD drive. 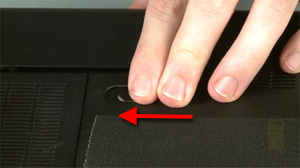 While supporting the computer, gently press the exposed area of the keyboard in the optical drive bay to partially release it from the top cover. Turn the notebook right side up and open all the way. Lift the rear edge of the keyboard and rotate the keyboard toward the front of the notebook until you have access to the keyboard ribbon cable and ZIF connector. Gently lift the locking bar on the keyboard ZIF connector and remove the keyboard ribbon cable. CAUTION:Use care to prevent damaging the ZIF connector and ribbon cable. 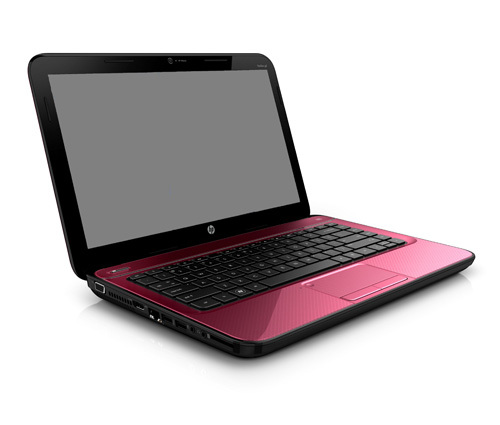 Remove the HP Pavilion G4-2000 Keyboard. Reverse the procdeure to install the new keyboard.